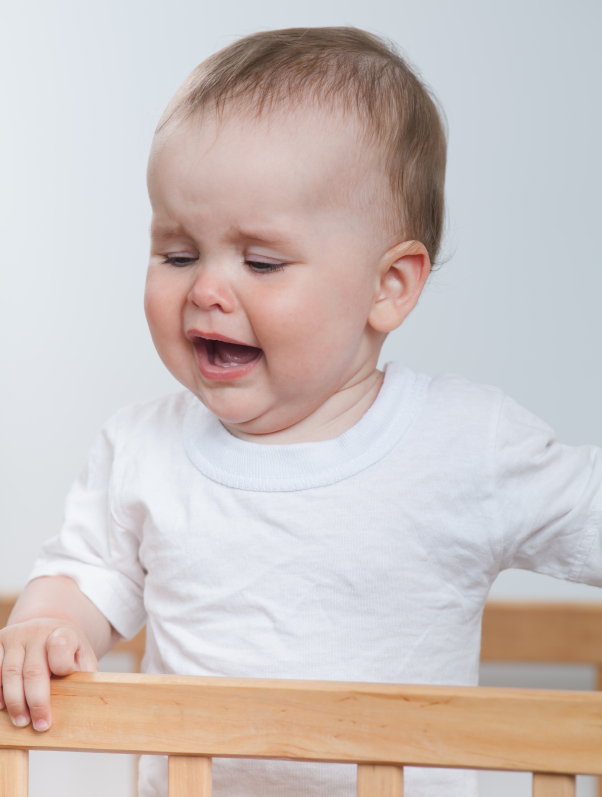 Many studies have concluded that parents tend to find that allowing their babies to cry themselves back to sleep can be rather irritating and almost always stressful. Most parents are unable to overlook their newborns long enough for the child to cease their crying and fall asleep by themselves. Place your child in her bed while she’s drowsy but still awake. When you’re done with her bedtime ritual, exit her room. Should your child cry, sit tight for a couple minutes before checking up on her. Typical waiting times start within 1 and 5 minutes. Upon checking on your baby, soothe her but don’t take her out of her crib. You should also leave after a couple minutes even if she’s still crying. Seeing you will usually be plenty to let your child know you’re nearby so she’ll fall asleep unassisted. Should she continue to cry, slowly add time to how long you wait when heading back to her room. For example, if you wait for 3 minutes the first time, make the second trip after 5 minutes then 10 minutes for each additional visit. The second night, you’ll wait about 5 minutes for the first checkup, 10 minutes for the second, then 12 minutes for each subsequent trip. Using this method will likely be difficult for about a few days. However, you’ll see your baby’s sleeping pattern begin to develop by third or fourth day. Many parents see significant advances after a week. If you’d like to attempt the Ferber Method, you’ll want to be rested before the first bedtime. You’ll be spending lots of time listening for your crying baby, looking at your watch, and going in and out of her sleeping area. In the end, however, it’s up to you to decide how you’d like to get your baby back to sleep.